In today’s era, Microsoft Outlook is one of most commonly used email clients, It manages user account data such as emails, calendars, contacts, appointments, etc. 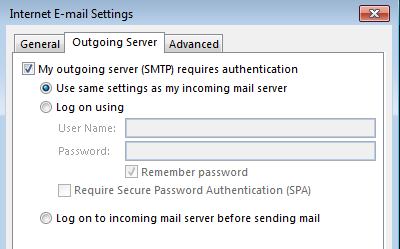 In order to get started with Microsoft Outlook, we need to configure a user account with an email id. 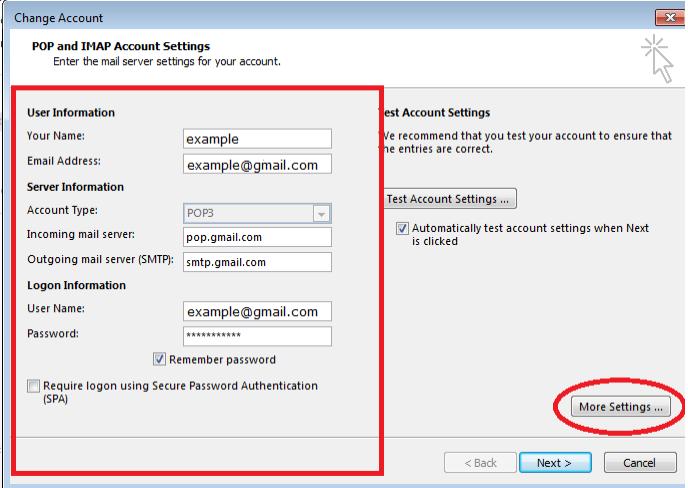 The user account setting can be done by using POP Account Configuration, IMAP, Exchange Server, Outlook.com. POP refers to Post Office Protocol. 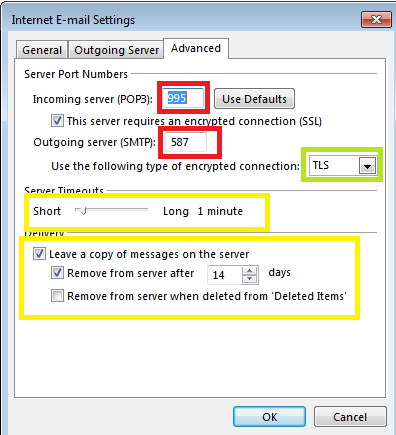 It is used by email clients in order to retrieve mail over a TCP/IP Internet connection. POP came out in various versions, But the most widely used version is POP3. 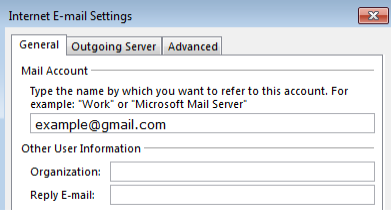 In POP3 emails are downloaded from the server inbox to your computer system, Emails are available even when you are not connected to the internet. Basically, POP downloads your email messages at first. This makes viewing attachments and emails very fast and easy. 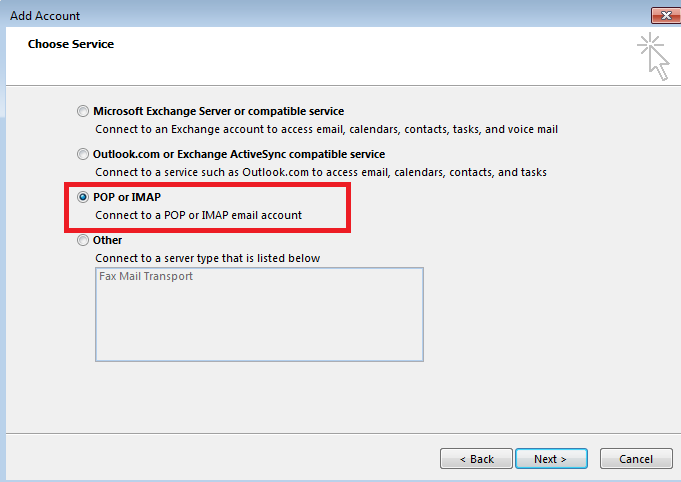 In this informative tutorial, we have performed POP account configuration is performed in MS Outlook 2013 with a Gmail user account. In the file menu, We have to click on the ‘Add Account’ tab. Now we have to select the ‘Manual Setup’ radio button for configuration and click Next. On the ‘Advanced’ tab specify the ports for servers, Provide the server timeout range also check the delivery check boxes as per requirement and click ‘OK’. Note: In the advanced tab we can also use 465 for Outgoing server respectively, In case if 587 are not working. Then click ‘Next’, Now your POP Account Configuration is done. 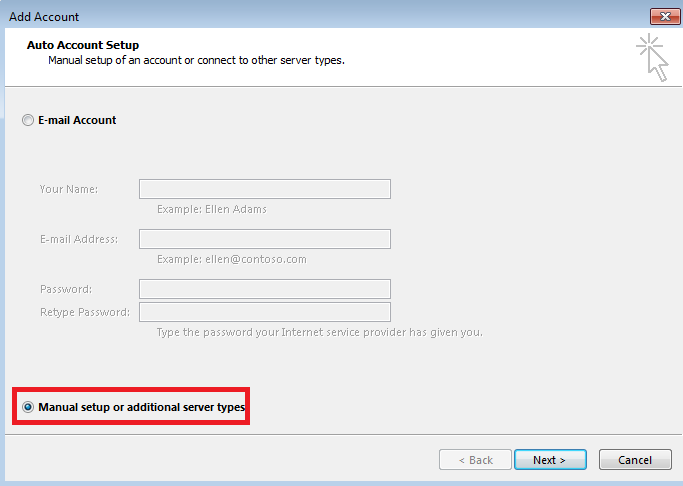 Tip: A user can follow the same procedure to configure POP Account in MS Outlook 2016. 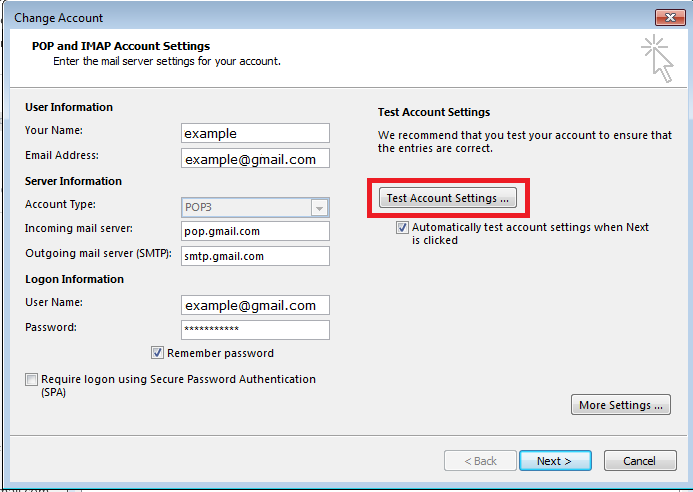 This informative tutorial described the procedure of POP account Configuration by using a Gmail account. The performance of POP3 is very good in fast and stable connections, But it’s performance lacks in slow connections, As it downloads attachments first It can become very difficult in the case of downloading large attachments when the connection is slow and unstable.